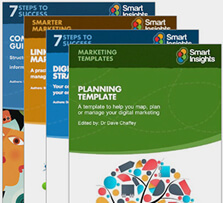 Creating a marketing plan can be a daunting task. With so many facets of your business to consider, it’s easy to focus on one channel and forget others. Knowing your businesses’ strengths, weaknesses, and position in your industry is integral to creating an actionable plan that will grow your business. That’s why we’ve written this example – so you can see a complete digital marketing plan that you can use (whether for inspiration or to rewrite) when making your own. 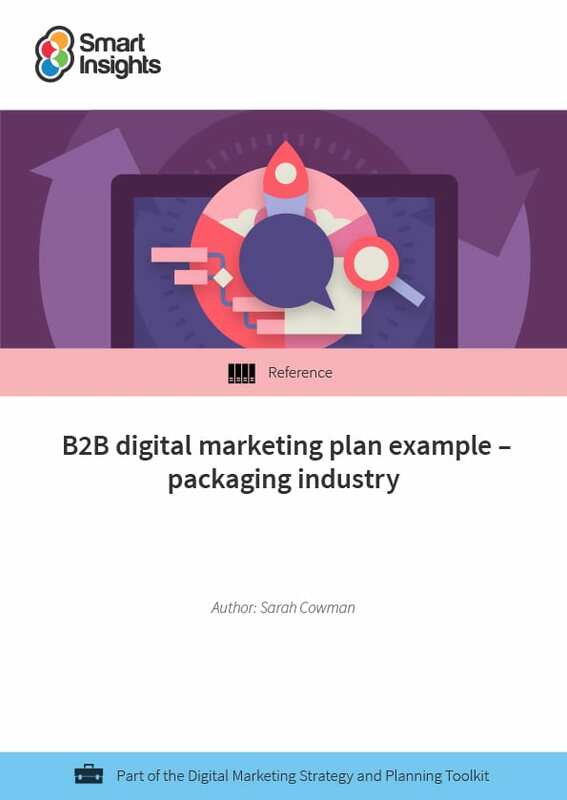 Our digital marketing plan example considers a B2B manufacturing company in the packaging industry and shows how it uses the RACE framework to analyze its current successes, outline its improvement goals, and create an actionable plan. Reviewing the example while considering your own company will help you ensure that you have developed your own digital marketing plan in enough detail and may spark some ideas you had not thought of. This digital marketing plan example is primarily intended for marketing and digital marketing managers, to help them write a proposal to deliver to CEO/Directors in their company. More senior stakeholders will also benefit from reading the plan as it will help them know the scope, level of detail, and structure their own plans should include. How is the plan structured? Sarah Cowman, Managing Director at The Yorkshire Marketing Agency, is an award-winning Chartered Marketer. Sarah holds over 10 years’ experience in implementing results-driven marketing and communications strategies, plans, and campaigns.